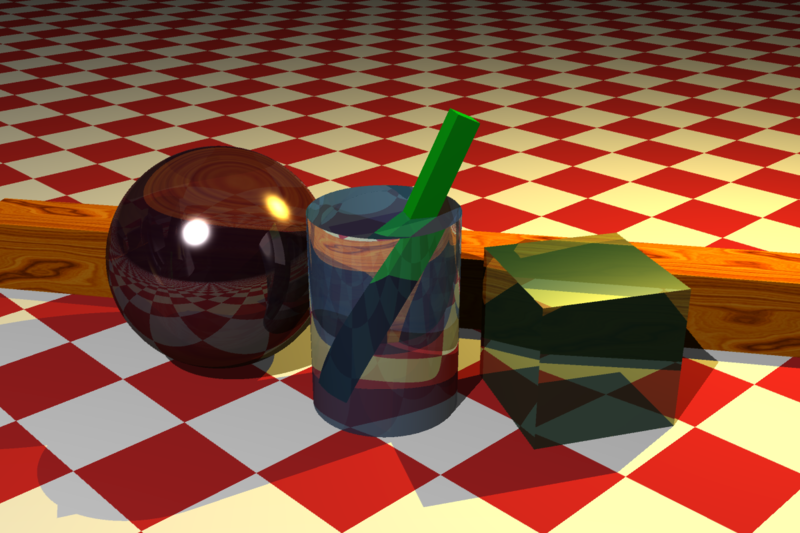 In computer graphics, ray tracing is a rendering technique for generating an image by tracing the path of light as pixels in an image plane and simulating the effects of its encounters with virtual objects. 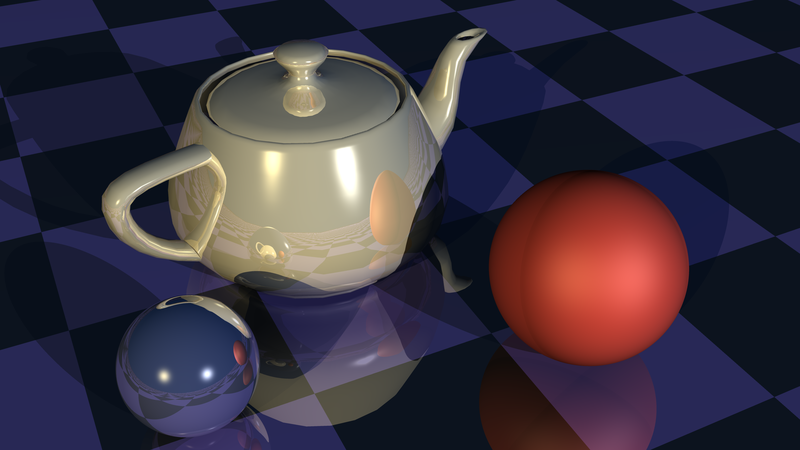 The technique is capable of producing a very high degree of visual realism, usually higher than that of typical polygon based scanline rendering methods, but at a greater computational cost. 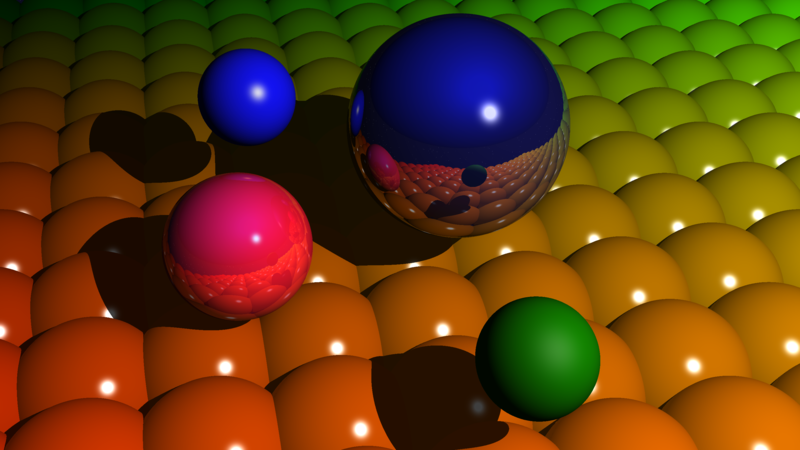 RayScale is comprised of two separate microservices, the Controller and the Tracers. Both are written in Node.js using TypeScript, and all interaction to/from these services is via REST API (using Express). 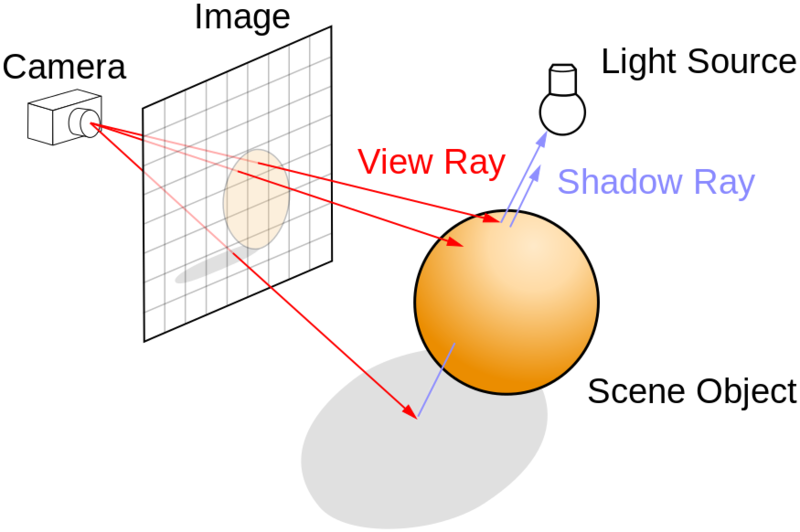 RayScale is intended to be run with a single Controller and one or more Tracers (either on the same machine as the controller (each on different TCP ports) or elsewhere on the network). Tracers can be started & stopped at any point, more added etc. and the Controller keeps track of tracers via health checks much like a network load balancer. 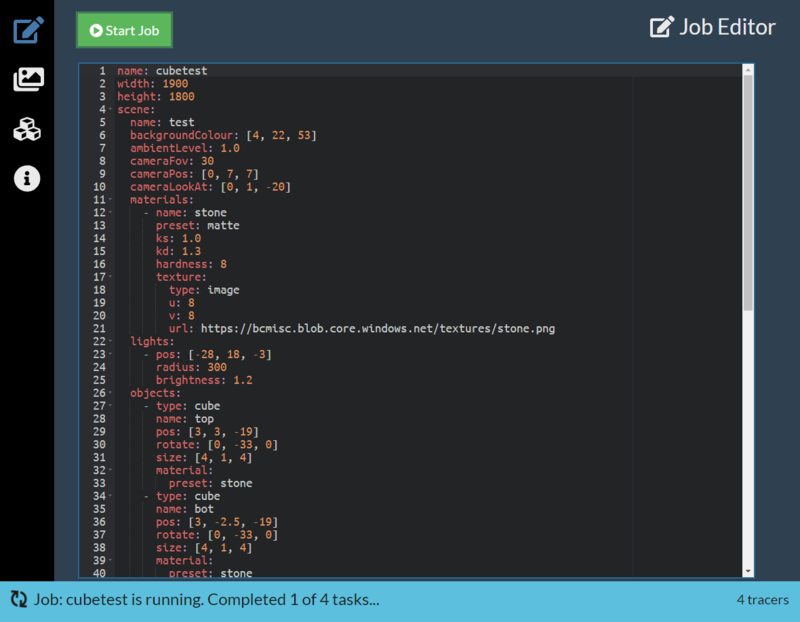 Tasks - The controller divides a Job into Tasks. You can specify the number of tasks you want your job split into, if no number is given, the system will simply allocate one task per tracer. 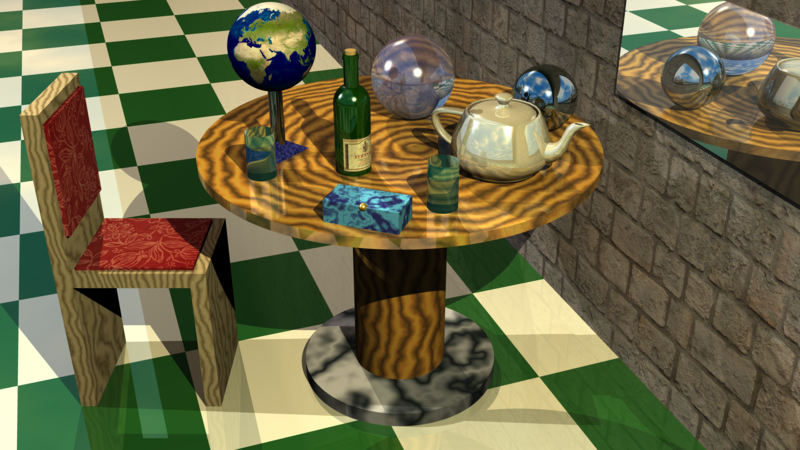 A good rule of thumb for quickest rendering is to split the scene into twice as many tasks as you have tracers. 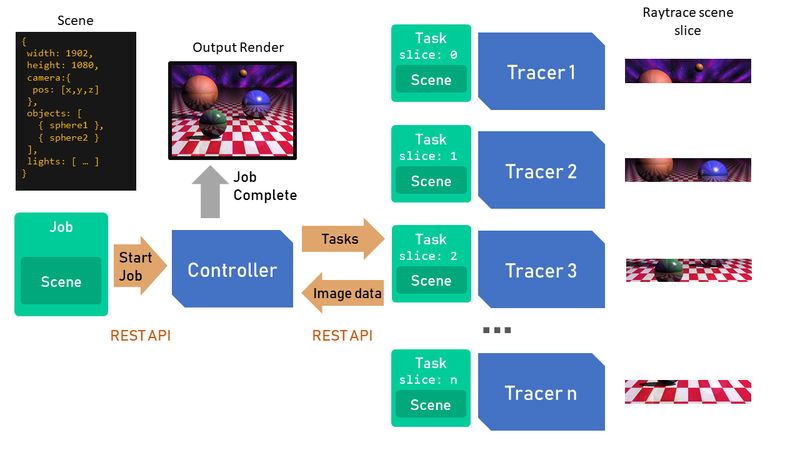 The Controller schedules Tasks by creating a queue and sending them off the queue to idle Tracers. Only a single Task is allocated to a Tracer at a time, once a Task is completed another will be sent to the Tracer off the queue. 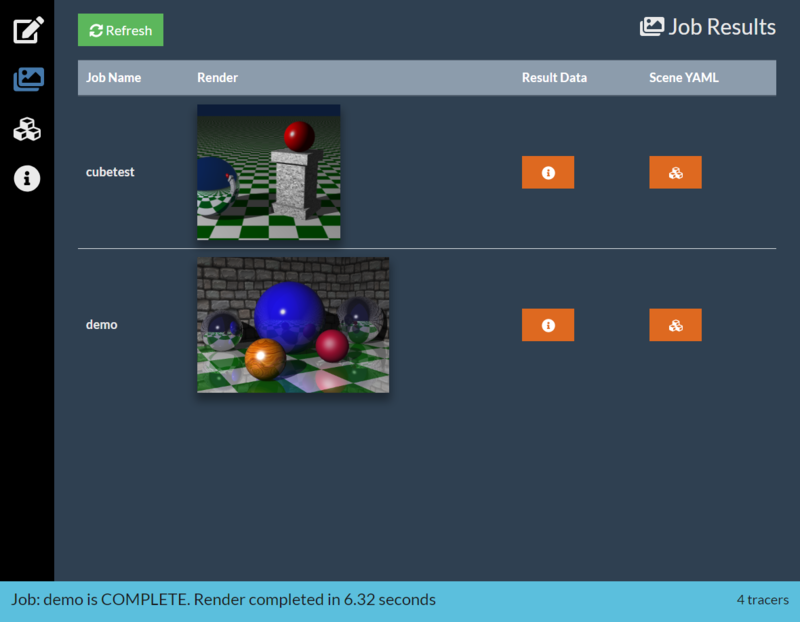 The way Scenes and the JobInput are defined is yia YAML, there’s a full guide to the objects and their properties linked below. However it is recommend to use one of the included example jobs as a starting point rather than write a new job & scene YAML from scratch. The system only allows for a single Job to be running at any time. Failure of any one Task, will result in a failed/incomplete job. Job and Task recovery is considered out of scope, and unlikely to be resolvable. Tracers do not check to see if the Controller is active, it is assumed the controller is online at all times. Should the Controller be restarted for any reason, all Tracers will also need to be terminated and restarted.